Thanks eBay! PuffItUp hits 3k Positive Feedback! 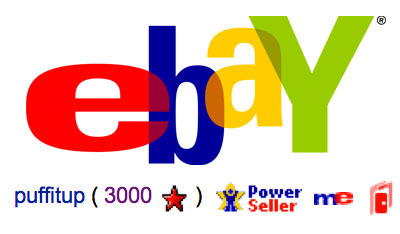 We finally hit 3k positive feedback as a Power Seller on eBay! You can use the media player above to listen to Randy on eBay radio talking about the art of great customer service. No comments on Thanks eBay! PuffItUp hits 3k Positive Feedback!